Here is a model of a descriptive report which I will be using with students from R-2 to examine the structure and language features of this type of text. If you have some good models you would like to share, let me know and I can add them here to share. Entity classification The red-bellied piranha is a type of fish that lives in the Amazon River. Features It has an orange belly, grey back, and very sharp teeth set in strong jaws. It grows up to 33 centimetres in length. Behaviour The red-bellied piranha hunts in shoals of 20-30 fish. They feed on a diet of fish, insects, snails, plants, and river animals. They hide in vegetation in order to ambush prey, and they also chase prey and scavenge for food. The younger, smaller fish hunt by day, and the older, bigger fish hunt at dawn and dusk. Reproduction The female lays a clutch of up to 1 000 eggs. 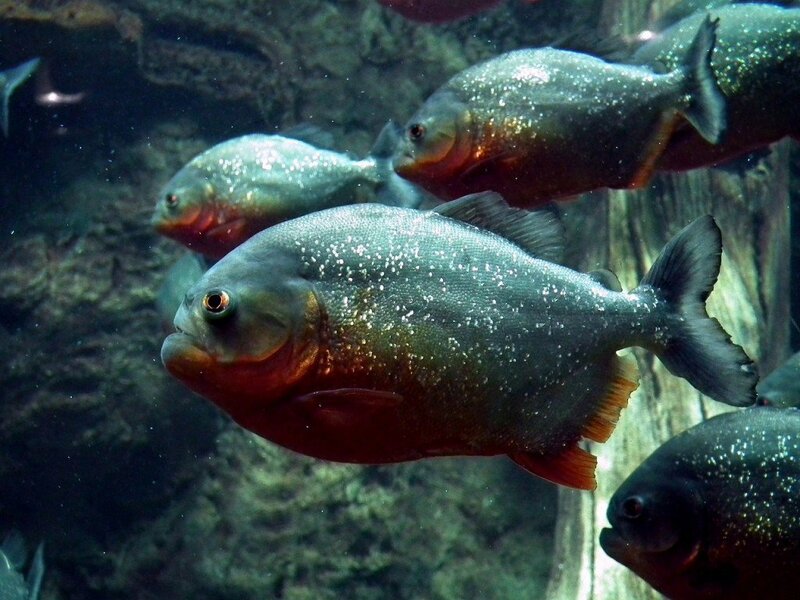 Life expectancy Piranhas can live for about 100 years. Attached is a copy of a Teaching and Learning Cycle model. Feel free to add/ delete/ change to suit. Let me know which aspects you would like me to focus on in RBL/ICT sessions. L1147 Food chains: what is a food chain?